Love the car seat, very safe and secure. Giving parents peace of mind out in the car. It's got great padding around our child and very sturdy. It's comfy and our boy loves his. We bought this around 3 years ago now for our first daughter. The car seat itself is very sturdy and has a lot of protection compared to most car seats. 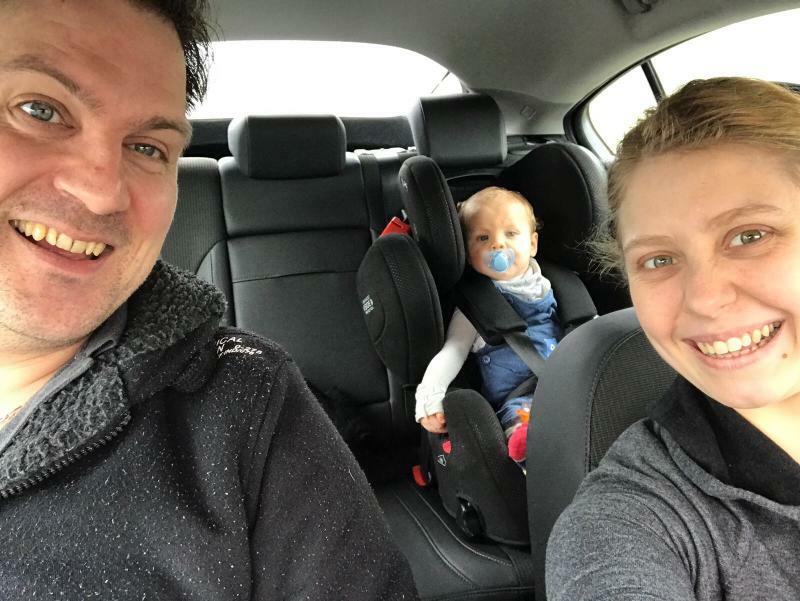 It fits several cars exactly the same it never slacks at all (have had this car seat in parents car aswell) The only down side is it is very hard to wash and gets dirty easily (we have pink and live in the country so muddy feet etc on the seat.) This car seat will be suitable until our daughter is 12 and i strongly feel that it will suit our needs for that long. Will recommend this product but would recommend getting black if you dont want to be cleaning constantly! This is a really great seat for making it easy to get our little boy in and out of th car. Being able to turn the seat 360 degrees means it can be installed on either side of the car. There are red/green blocks to show when different parts of the base and seat are correctly in place or not. It’s a shame it doesn’t recline more as when baby is asleep his head lols forward. We absolutely love this car seat. My son is super comfortable in it and even though it doesn’t recline much, he is still able to fall asleep in it easily. The height also allows him to clearly see out the window and keep him entertained looking at the view outside. Great price for a car seat that will last until 12 years! Can not fault it at all. Snug fit in the car, me and partner love it!! Car seat is fab! Looks lovely and does the perfect job. Definitely would recommend to other parents. The price is just right and my partner and myself love it. I bought this for my 1 year old and he still has it now at 4. It is so comfy, so padded. Easy to adjust strap sizes. I will be buying a 2nd one for my 2nd baby. This seat is really sturdy, has loads of passing. Feels really safe, no e material adjustable. Excellent car seat. The seat is belted in with us and feels really sturdy and safe. We have this one from Amazon. It was a good deal. Very good car seat is strong and my baby boy like it. He is always happy to go out with it and I am happy to . 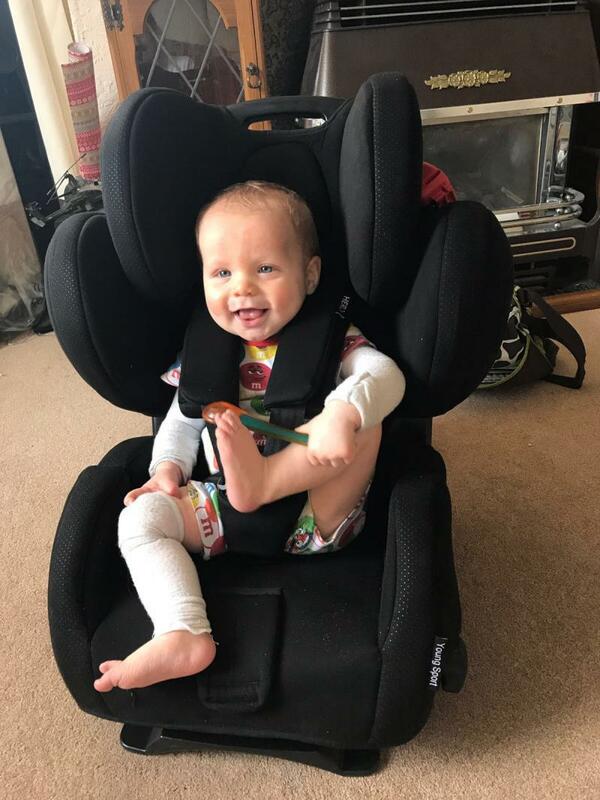 Fantastic car seat, my daughter has used hers since 15 months old and I love that it reclines for long journeys where she falls asleep, the comfortable padding also supports this. My daughter feels safe and secure in this and the covers are easy to remove and clean. This is my go to car seat. I used and tried a lot of different brands. However I found these to be my favourite. My children feel so safe. I feel safer using these. And they may seem expensive but your child’s safety is first class. I would recommend highly. Sturdy, comfortable and value for money. Heavy and hard to clean. The car seat is well designed and is beautiful to look at. It has memory foam and is safe and secure. However is heavy. This doesn’t really matter because other than to clean we don’t remove it from the car. I love my Recaro car seat for my son. We got it when he was ready to go from rear facing and love the fact that it is the only ‘big boy’ car seat that he will need! It’s very sturdy which is great because it gives me peace of mind that it won’t slip and the advanced side protection is amazing. It’s super comfortable for him and he loves getting into the car to go on trips. The only downside is that it’s quite heavy so it makes it harder to change into other cars, but what car seat isn’t difficult to move! Bought this for my 21 month old daughter 1at birthday because it states it lasts toll they are 12 or a certain weight and for the price it was amazing value. My daughter absolutely loves it ans it looks like a good quality product. We love it that much my 9 month old will be getting one once she's big enough. Overall this seat is a good option and I would definitely buy another in future. The seat appears to be comfortable although once used as a high back booster the seatbelt seems to sit a little funny. We've personally used this in 10 different vehicles (including those of family and friends) and its comfortably fitted in them all so definitely a good option for nearly any car as it even sits well in bucket seats. It is quite heavy if moving from car to car but then this shows how sturdy the car seat is which is what you want if you were to be involved in an impact. Despite this it isn't as wide as similar seats which I think helps with the ease of fit in so many vehicles. I would definitely recommend this seat. What a fantastic car seat! The safety of our precious ones is paramount and this spacious luxury seat has that along with comfort great support and easy to use, this chair lasts years and can be taken apart to wash. I've been using this car seat for about 9months I would highly recommend it so easy to fit in the car and very comfortable for my little one she finds it easy to sleep in which is always a good sign and it's very easy to get her in and out. I am very satisfied for this car seat, my 3 years old daughter love it, she never cry when we travel. Compatible with most of the car. Great design and value for money which we paid. This best selling Recaro Young Sport HERO car seat can be easily and safely installed in almost every car, using the car's 3-point seatbelt for stability. This car seat also grows with your child. Thanks to its simple handling, the long usage, safety and comfort it is a popular choice for children aged from 9 months up to 12 years. For additional safety there is an integrated 5-point belt and seat angle adjustment (Group I), height adjustable headrest and advanced side protection. This car seat's special safety system prevents belts from slipping or twisting and makes for easy buckling up. 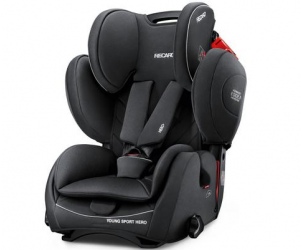 For the smallest of passengers (Group I) there is a cocooning insert cushion for more stability, and throughout the Young Sport HERO car seat's use, the comfortable foam seat moulds to the body shape and provides the best support.